Do You Love Bulldogs And Labs Equally? Then You Might Be Considering A Bulldog Lab Mix. But Before You Pick Up Your Puppy, There Are A Few Things You’ll Need To Know. We Take A Look A The Bullador, His Health And Whether A Bulldog Lab Mix Is The Right Pet For You. Any list of people’s favorite dog breeds is sure to include both the Labrador Retriever and the English Bulldog. Many dog lovers are interested in the idea of a Labrador Bulldog mix—called a Bullador—as a pet. Yes, Bulldog and Lab mix dogs have sweet faces and endearing personalities, but is a Bulldog x Labrador cross the right mixed breed dog for you? Crossing Labs with other dog breeds has become increasingly popular in recent years, producing such “designer” mixes as Labradoodles and Goldadors. But crossing a Lab with a Bulldog could have serious health implications for the offspring. Anyone interested in a Bulldog Lab mix should be aware of the inherited health problems of both breeds…but especially the English Bulldog. Cultivating the extreme look of the Bulldog has created some serious health problems for the breed. Upsettingly, recent genetic research has even questioned the long-term viability of the Bulldog as a distinct breed. 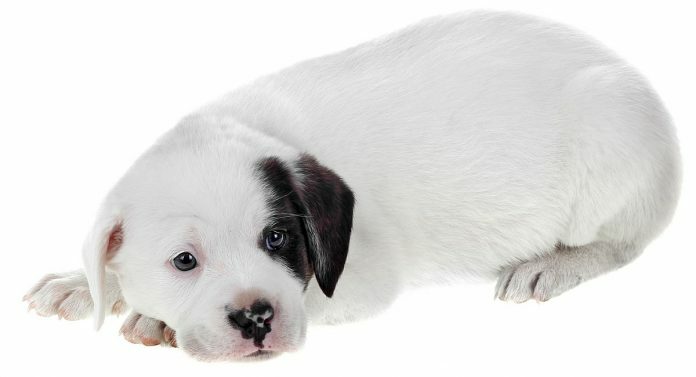 Will an English Bulldog Labrador mix end up being a healthy dog with the Lab’s good conformation, or will it be a dog with the Bulldog’s many structural problems and associated health challenges? The truth is, we can never know for sure before mating the two. And afterwards, it’s too late. In this article we’ll take an in-depth look at the Bulldog Lab mix’s health, personality and needs. So you can make an informed decision about whether an English Bulldog and Lab mix dog is right for you. What is the history of the English Bulldog and Lab mix? Any mixed breed dog can be the result of a chance encounter between two dogs. But planned hybrid mixes of two purebred dog breeds have become popular in the past few decades. The Bullador, like other Lab mixes, came into being when dog fanciers sought to combine the active, friendly, and good-natured Lab with other breeds. Aiming to create a mixed breed dog that would have the Lab’s traits and the desired traits of the second breed. 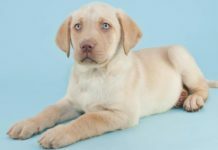 In the case of the Bulldog Lab mix, breeders wanted to cross in the distinctive appearance and loving, calm nature of the English Bulldog with the Labrador Retriever. The idea is appealing, there is no doubt. But as with any mixed breed dog, the Bulldog Labrador mix can have any combination of the physical appearance and personality of the parent breeds. This natural unpredictability, combined with some serious potential health problems, are important factors to keep in mind when considering the Bullador as a pet. What are the characteristics of the English Bulldog and the Labrador Retriever that go into the Bulldog Lab mix? The two breeds were created for very different purposes. They both have evolved from their original “jobs” to become beloved canine companions. The English Bulldog is a member of the American Kennel Club’s non-sporting breed group. Originally developed for the (now defunct) sport of bull baiting, today’s Bulldog is a famously mellow and easygoing companion animal. The Bulldog is a low to medium energy pet, not much of a barker, and good with children and other animals. This sweet natured dog is unfortunately burdened by some significant health problems linked to its distinctive head and body structure. 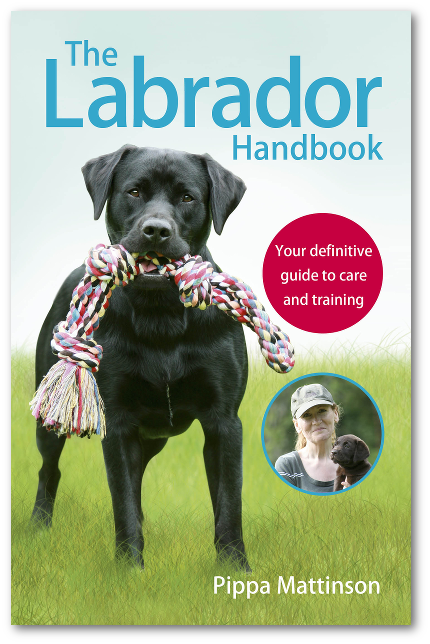 The Labrador Retriever was first developed in Newfoundland, Canada as a working dog for fishermen. The breed then became a valued sporting dog, retrieving waterfowl and other game brought down by hunters. The Labrador’s friendly and outgoing personality has made it one of the most popular dog breeds in the world. 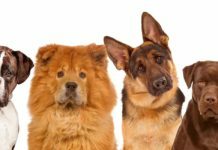 It has been ranked number one in popularity among U.S. dog breeds for the past 26 years straight. Besides being a popular family pet, the Lab is also used extensively as a service dog for the disabled, and as a working search and rescue dog. When you combine these two dogs, any of these features in any combination can be prominent. The Bullador’s good looks make it a popular mixed breed dog. It’s easy to fall in love with that sweet face. 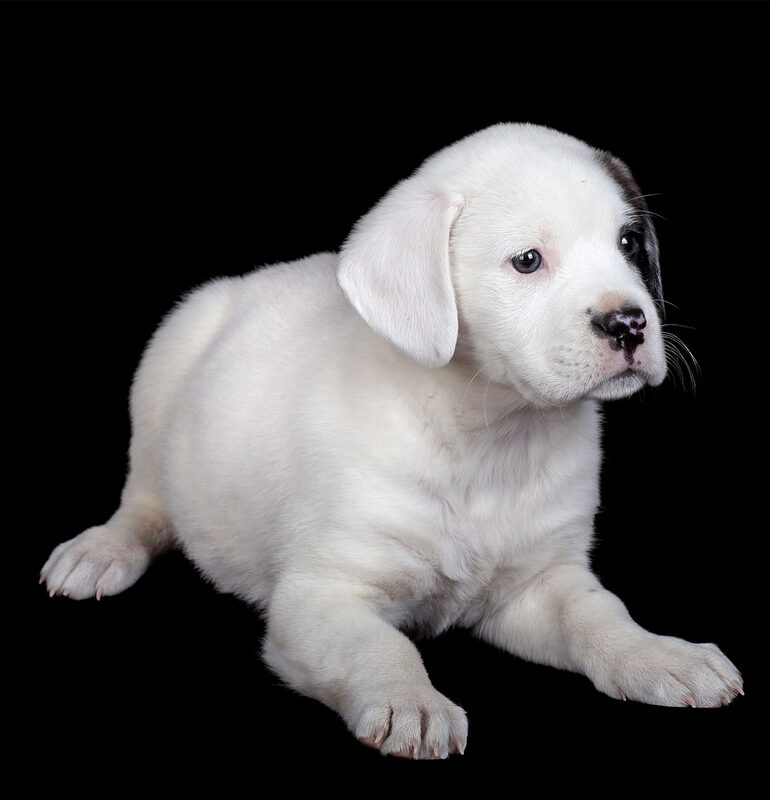 But many potential owners have questions about just how big their Labrador Bulldog mix puppy will get when fully grown. People are also curious about the coat type and possible coat color variations of a Labrador Retriever Bulldog mix. Let’s take a closer look at the physical characteristics of the Bullador and its parent breeds. The English Bulldog is a thickset, medium sized dog. Adult males are about 50 pounds and females should be around 40 pounds. They are stout dogs, generally 14-15 inches tall at the withers. Labrador Retriever males range from 65-80 pounds; females are 55-70 pounds. A male Lab’s height is between 22.5-24.5 inches and a female’s is between 21.5-23.5 inches. They are strongly built and athletic medium sized dogs. How big is an adult Bulldog Lab mix? 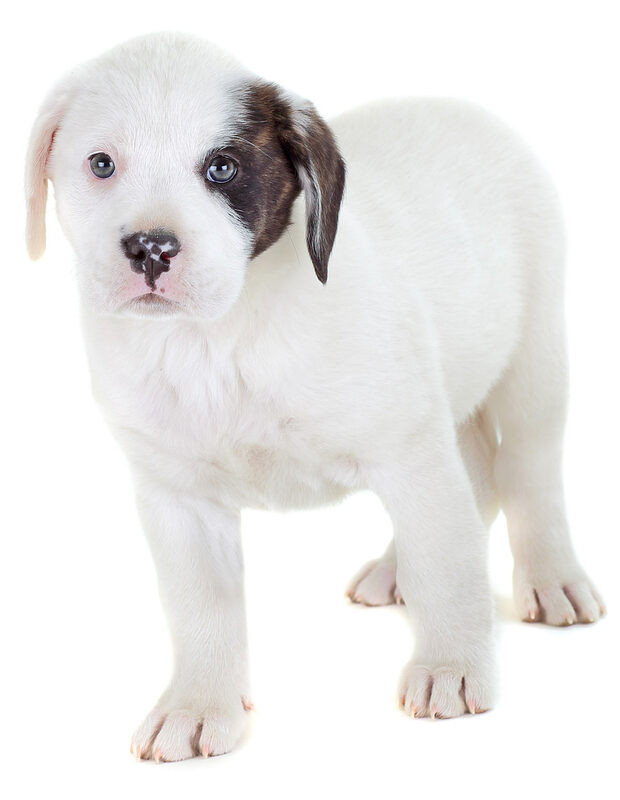 Like all cross-breed dogs, an individual Bulldog Lab mix puppy could end up falling anywhere between the small and large ends of the height and weight scale. Generally, their weight can range from around 50-80 pounds and they can be between 20-25 inches tall. The average Bullador will have a muscular, sturdy body, large head, and somewhat jowly face. Like overall body size, the head size and shape and droopiness of the face can vary from one dog to another. What type of coat is common in a Bulldog Lab mix? The Labrador Retriever has a double coat, with a short top coat and a warm undercoat that sheds seasonally. The Bulldog’s coat is short, flat, and smooth. The Bulldog also sheds, but generally less than the Lab. Expect your Bulldog Lab mix to have a short, dense coat. Your individual dog’s coat may be a bit thicker like a Lab’s, or close like a Bulldog’s. As with size, coat type can vary, favoring one parent breed more than the other. What about coat color and markings? There are three recognized coat colors for the Lab, all solid: black, yellow, and chocolate. The English Bulldog has a much wider range of coat colors and patterns. Recognized colors are red, white, fawn, and fallow—in any combination. Markings include brindle, piebald, ticked, masks, and tipping. 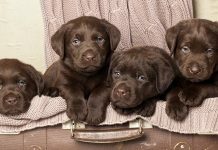 Many potential owners are curious about the color possibilities with specific Lab-Bulldog combinations: the black Lab Bulldog mix, the chocolate Lab Bulldog mix, and the yellow Lab Bulldog mix. Since so many coat color variations are possible with the Bulldog, any Lab Bulldog mix can have more color and pattern possibilities than solid black, yellow, or chocolate. Bullador coat color can be any shade of brown from dark to light, and also black or white. Bulldog Lab mix markings can be brindle, brindle with white, and piebald (black or brown with white is common). Given the friendly and affectionate personalities of both the Lab and the Bulldog, it’s no surprise that the Bullador is known for its very good temperament. Fans of the Bullador praise its loving, loyal, and eager to please personality. While both parent breeds have many positive personality traits, they do differ in basic temperament, with the Lab being livelier than the calm Bulldog. 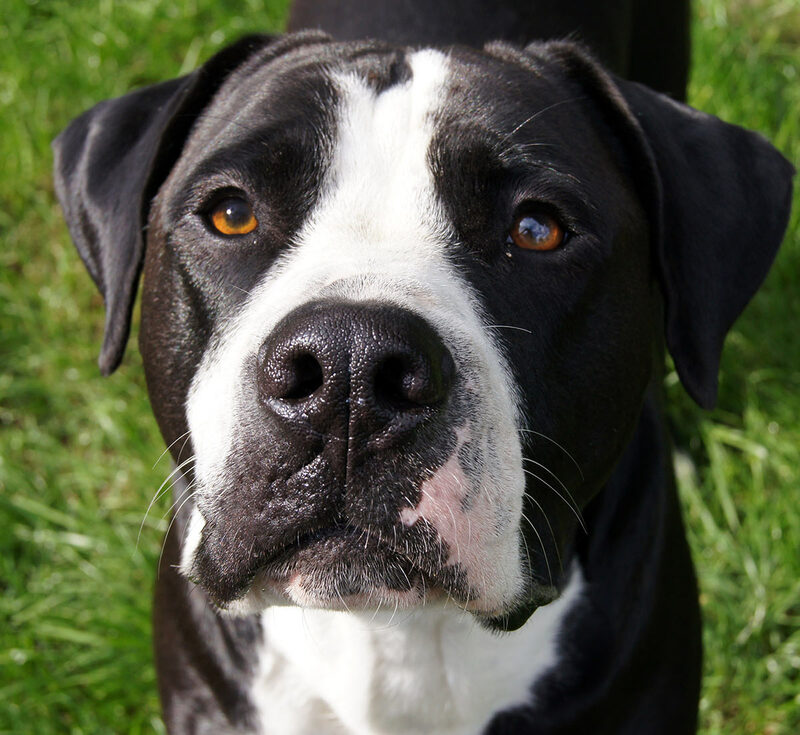 Keep in mind that your mixed breed dog could have more of an outgoing Lab temperament, more of a placid Bulldog temperament, or a combination of both. Good training and socialization are just as important as breeding to an individual dog’s overall temperament and behavior. For the Bulldog Lab mix, this is especially true if your dog has the famous Labrador energy and enthusiasm. Speaking of Labrador enthusiasm, what do you get when you cross an outgoing Lab with a calm Bulldog? Will your Lab Bulldog mix be happier accompanying you on a long hike or lying by your side on the living room sofa? The typical Bulldog will have a much lower energy level than a Lab. Bulldogs need regular walks and a moderate amount of exercise and play. Because of their short noses, Bulldogs often have difficulty breathing during exercise in extreme hot or cold weather. Labs are high-spirited and very active dogs. They enjoy lots of interactive play sessions and outdoor activities, including being in and around the water. Many active, outdoorsy owners choose Labs to accompany them on adventures. So, will your Bullador be a couch potato, an explorer, or a combination of both? The answer depends on the unique characteristics of your dog. 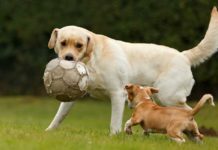 If your dog favors its Lab ancestors in physical appearance and energy level, expect an active dog that needs regular exercise. If your Bullador’s head shape, body type, and temperament are closer to the English Bulldog, then moderate exercise may be all that’s required. Remember that the activity of short nosed dogs should be monitored in very cold or hot weather. The big problem here with a Bulldog Lab mix is you could have a dog with the enthusiasm of the Labrador, but the breathing problems of a Bulldog. Leading to a very stressed and upset dog, who wants to play more but isn’t physically capable. The most important consideration in the decision to acquire a Bullador is the possible health problems your dog could inherit, especially from the Bulldog side. When Bulldog Lab mixes inherit one or more of the serious health issues associated with the Bulldog breed, many inexperienced owners are unprepared for the significant amount of time and money that can go into caring for a dog with chronic health problems. Before looking at the health issues of English Bulldogs, it’s also important to remember that Labs can be prone to certain health problems as well. 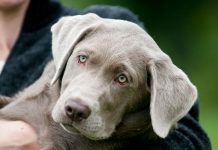 Common health problems of Labs include centronuclear myopathy (a type of muscular dystrophy), exercise induced collapse, hip and elbow dysplasia, and certain heart and eye diseases. Even when you take the unique health problems of the Bulldog into account, your Bullador could still inherit conditions common to the Lab, such as dysplasia. Reputable breeders will test for dysplasia and have the results certified and available for your review. 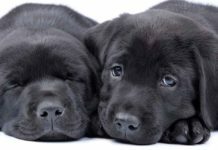 There are also genetic tests for other serious conditions known to affect Labradors. Unfortunately, no discussion of Bulldogs or Bulldog mixes would be complete without an honest assessment of the breed’s inherited health problems. What should potential Bullador owners know about the overall health of the English Bulldog? In 2016, an important genetic study of the Bulldog was published. Researchers found that the breed has an extreme lack of genetic diversity, due in part to breeders selecting for the desired Bulldog physical traits. Sadly, many of these characteristic traits cause Bulldogs to suffer from significant health problems. The researchers concluded that even with drastic changes to Bulldog breeding practices, such as outcrossing with other breeds, the existing Bulldog genetic stock is so unhealthy that there is little chance of improving the health of future generations. What are the most serious health problems of the English Bulldog? Here’s what you need to know. The number one health concern for the Bulldog is a condition known as brachycephaly. Short muzzled dogs like Bulldogs and Pugs are brachycephalic, and often suffer from brachycephalic obstructive airway syndrome (BOAS). Dogs with BOAS have difficulty breathing, especially during exercise and hot weather. The English Bulldog’s craniofacial structure is more extreme than other short muzzled dogs. The breed also has a very large tongue and palate, as well as a lower jaw that is pushed forward. All these features combine to produce life-threatening health problems such as sleep apnea, exercise intolerance, gagging, pneumonia, and heatstroke. Brachycephalic syndrome is the leading cause of death in the breed. The Bulldog’s body type leads to many health problems as well. Chondrodysplasia is an inherited skeletal disorder (like dwarfism in humans) that has been incorporated into short legged breeds like the Bulldog and Dachshund. Dogs with this condition can suffer from a variety of painful problems like hip and elbow dysplasia, intervertebral disc disease, luxating patella, and hemivertebrae. Hemivertebrae is common in English Bulldogs, French Bulldogs, and Pugs. It is a congenital deformity that creates the desired curled tail of these breeds, but it also causes serious spinal abnormalities. The vertebrae in dogs with this condition are malformed and/or fused together, causing spinal deformity, pain, and loss of hind leg function. Bulldogs are prone to chronic skin conditions because of the excessive folds in the skin. Conditions like dermatitis, acne, and folliculitis are common and require regular treatment. Excessive skin folds on the face can also cause eye problems. The undershot jaw of the Bulldog can lead to tooth overcrowding and other dental problems. Bulldogs are more prone to dental health issues than other breeds. Their brachycephaly can make anesthesia risky, an important consideration when a dog needs frequent dental procedures. Given the serious health problems of the Bulldog, it’s not surprising that they are a relatively short-lived breed. The average life expectancy of the Bulldog is a depressing six years. And they are not six comfortable years. Labrador Retrievers have a lifespan of 12 years, quite a bit longer than a Bulldog. How long can you expect a Bulldog Lab mix to live? The health of your dog’s Bulldog genetic lines can play a large role in determining the answer to this question. A Bulldog Lab mix that physically takes after it’s Lab parent is likely to live longer than one with the breathing problems of the Bulldog. Should I buy a Bulldog Lab mix? English Bulldogs and Labrador Retrievers are two beloved dog breeds. Both are famously endearing and good natured, so it’s no surprise that an English Bulldog Labrador mix would be a desired mixed breed dog. Yes, Bulladors are adorable and sweet natured, but as much as we love the idea of this particular hybrid, it’s difficult to recommend it, even for experienced dog owners. The term “hybrid vigor” is often used for mixed breed dogs, but when one of the breeds used in the cross is a Bulldog, vigorous health is not likely. Even the most robust Labrador, when crossed with a purebred Bulldog, cannot guarantee a healthy Bulldog Lab mix. The many genetic conditions that contribute to a Bulldog’s unique structure and appearance are also what make it uniquely unhealthy. The offspring of a Bulldog Lab cross breeding can easily inherit the health problems of the Bulldog. Sadly, while the Bulldog is a much-loved breed, it is inherently unhealthy. The structural problems of the Bulldog can be passed down to future generations, even when crossed with the healthiest of Labs. For this reason, if you are looking for a Lab cross, we recommend going for one that is mixed with a healthier breed. “Breed Statistics.” Orthopedic Foundation for Animals. Pedersen, N.P., Pooch, A.S., Liu, H. “A Genetic Assessment of the English Bulldog.” Canine Genetics and Epidemiology, 2016. Liu, N.C., Troconis, E.L., Kalmar, L., et al. “Conformational Risk Factors of Brachycephalic Obstructive Airway Syndrome (BOAS) in Pugs, French Bulldogs, and Bulldogs.” PLoS ONE, 2017. Ryan, R., Gutierrez-Quintana, R., ter Haar, G., et al. “Prevalence of Thoracic Vertebral Malformations in French Bulldogs, Pugs and English Bulldogs with and Without Associated Neurological Deficits.” The Veterinary Journal, 2017. Sandoe, P., Kondrup, S.V., Bennett, P.C., et al. “Why Do People Buy Dogs with Potential Welfare Problems Related to Extreme Conformation and Inherited Disease? A Representative Study of Danish Owners of Four Small Dog Breeds.” PLoS ONE, 2017.